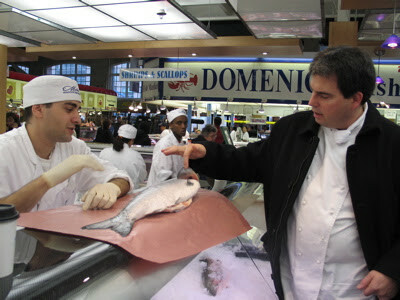 Shopping at Toronto's St. Lawrence Market with The Fairmont Royal York's Executive Chef David Garcelon. Photo by Sue Frause. Here's a fun gift for the holidays.The Fairmont gift card can be used for luxury accommodation, dining or recreation at Fairmont Hotels & Resorts -- which include 21 Canadian properties. Or purchase a Willow Stream gift card and indulge in an energizing experience at Willow Stream Spas. They're at The Fairmont Banff Springs in Alberta, The Fairmont Empress in Victoria, BC and Le Chateau Montebello Fairmont in Quebec.